So when I started reading again, it was on a relatively slow pace. I didn’t read that much which makes me sad now. 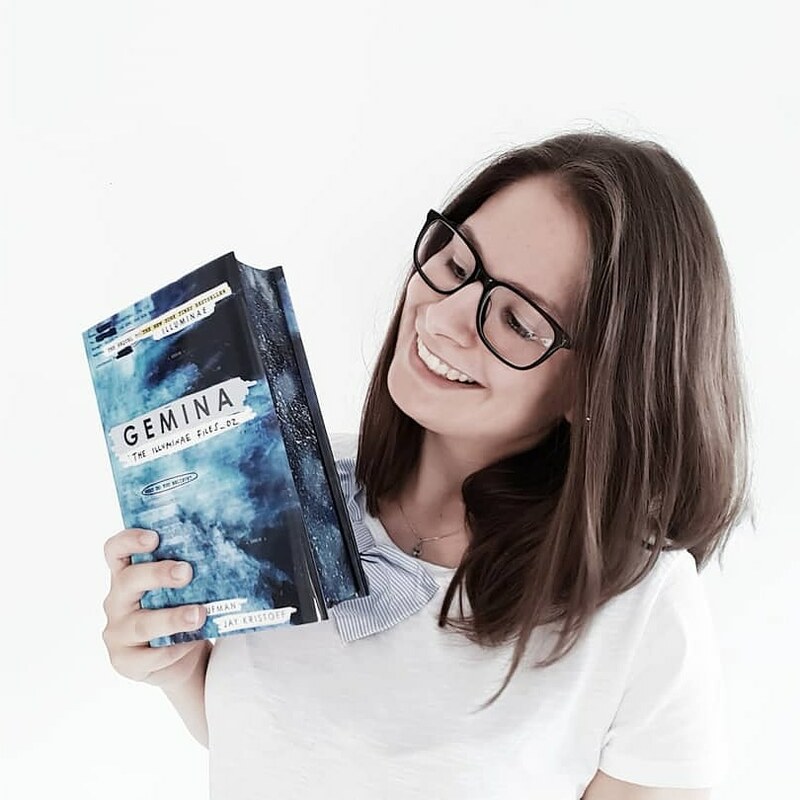 But half a year ago I found out about bookstagram and finally joined with my own account. I was a part of Goodreads since 2014, but never really used it. So with bookstagram I found out about more books, about exciting ones and also found some interesting challenges. With joining a community of readers and writers, I was finally reminded why I loved reading so much. As a person with family and friends who don’t read, I was immensely happy to find people with whom I could share my love for books. I started with reading much more books than I did before and with that came another problem I currently have to endure. Even if I love to read and try to read at least one chapter a day. But there are times when I simply don’t have the time to read. When my day is so full with different things that I don’t even have 5 minutes to read. And that’s the point where it gets strange. I start feeling guilty for not reading. Not because someone else might judge me, but because I cannot do what I love most. Maybe there’s also some kind of pressure – at least when I’m taking a look at the Goodreads reading challenges. I see how many books some people manage and then I start looking at my own piles and from time to time it gets frustrating. But I need to remind myself all the time that I work a lot and that I simply don’t have the time to read one book per day. I have to remind me that it is fine if I don’t have the time to read. That my life consists of more things than just books – even if it hurts to think so. That other people might be reading faster than I do. That reading is still my hobby and something I do because I love it, not because I have to do it. That it is okay to take a break before falling in a reading slump. I never even knew that something like this existed before joining the community – may it be Instagram or Goodreads or Twitter. But at this very moment I am in such a slump. And it’s not even because of the book, because I enjoy reading that. It might me some kind of pressure I mentioned before. I am an extreme perfectionist and I cause many of my problems myself. A good example is the above mentioned Goodreads challenge. I wanted to read 30 books this year and until know I managed 14 – I am currently 7 books ahead of my schedule. That is perfectly acceptable and good – but I want to manage more than that. Yes, I’m crazy like that and you can see where this is going. What I want to say with this post is that I strongly believe that it is important to take breaks and not to feel guilty. It is perfectly normal not to have time. And no one should feel stressed out or pressed. I want you know that it is okay to close your book and ignore it for some time – may it be days or weeks. And if you want to talk about it, feel free to comment or message me. I want all of you to be happy with your hobby. Don’t let yourself get down. Have you ever felt guilty because of not reading or because of not managing to complete a goal you set yourself? Again – feel free to comment and talk with me about it. I’m more than happy to share your thoughts and hear how you dealt with it. On a side note: this post is inspired by The Bookworm Who Lived. I read her post and this got me into thinking how I myself deal with this kind of topic. I’ve been thinking about this too. (Well, not exactly, because reading is my life-safer and I it’s something I need to do to feel good, but the whole not always loving something part.) I think it’s really important to discuss too, as I’m sure many people in the bookish community feels pressured to read more, which obviously takes the joy out of reading. Got me thinking of something I realized a few years ago and put down in my notebook along the lines “I realized you don’t always have to love something for you to say you love it. I love to walk around barefoot in the summer, but that doesn’t mean I’d want to do it in snow.” and that has really helped me come to terms with it all. This got way to long but anyway, great post, and keep reading because you love it and do other things when you don’t want to read. After all, it’s supposed to be a fun thing. Oh I love the line you mentioned. I totally get what you’re saying with it and I want to remeber this one. Thank you for your comment and by now I’m mostly out of my reading slump. I love reading so much and I know now that I need breaks from time to time. But it’s still a hobby and I won’t stop doing it! I loved reading your views on this discussion, and it makes me so happy that i inspired you in some way. I totally agree the pressure comes from everyone else and yourself at the same time, and it’s sometimes difficult to remember it’s ‘just’ a hobby and not a duty. Thank you so much, Fiona. I’m glad that I’m not alone with feeling guilty from time to time. But remembering it’s just a hobby – like you said it – is extremely important!